Illuminate your flight with our new super bright, easy-to-install Ultra High-Intensity LEDs. Malibu Aerospace has pioneered a state-of-the-art taxi light system for the Malibu Mirage and Meridian that emits over 100 lumens per watt for bright light and high efficiency. 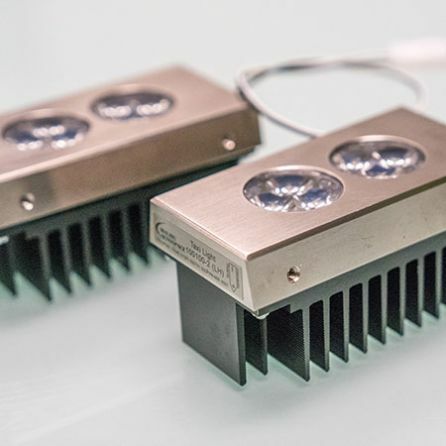 The L46 High Intensity LED Lighting system retains luminosity for extremely long life and continued performance. Our lighting solution will “plug and play” right into the factory harness and screws in with original fasteners. Comparable high intensity HID systems require significantly more installation, maintenance, and investment. We install the L46 High Intensity LED Lighting System for free. See how our High Intensity LED Lighting system keeps others in the dark. Contact Malibu Aerospace for pricing and installation details.